Raid Al-Andalus The Ironhorse starts to move, says that soon will have prepared the application form and need volunteers to lend a hand in the test and the Organization of the Competition. Together we must help Jose Manuel Soto, a man who is completely devoted to the organization of this event Equestrian Endurance, high-level sports event, all riders want to participate and compete in this competition, but this year is shorter than normal, hopefully next year, return to their usual characteristics, walking for half Andalusian geography, to show the beauty of our landscapes, our food and contact with our people. 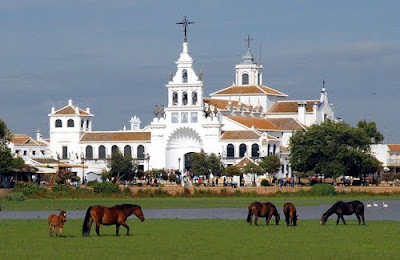 This year test daisy with departures and arrivals in the village of Rocio at the foot of the White Dove, three days together in the Great Week.